Wedding flowers! Where to begin…..
1. Look through magazines and gather looks you like in a folder. No, you can’t just snap pix on your iphone; you can do that too, but make a folder. Your florist will appreciate that. 2. Ask for recommendations. Chat up everyone in your area who has been a bride or mother-of-the-bride and ask about their florist. We heard one name three times, so we were on our way. 3. Get some idea of what things should cost. This can be done quite easily online. Learn about the “seasonality” of the looks you like. Some flowers that bloom in the spring may be very expensive for a late fall wedding. Do some homework! 4. Ask florists to show you their work. Ours had photo albums to show us. He also took the time to educate us and show us blooms in his shop. His pride in his craft was so evident, which tipped the scales in his favor. He also listened to my daughter, and even came up with a beautiful way for her to carry a special necklace in her bouquet. 5. Know what you'll need and make a list. 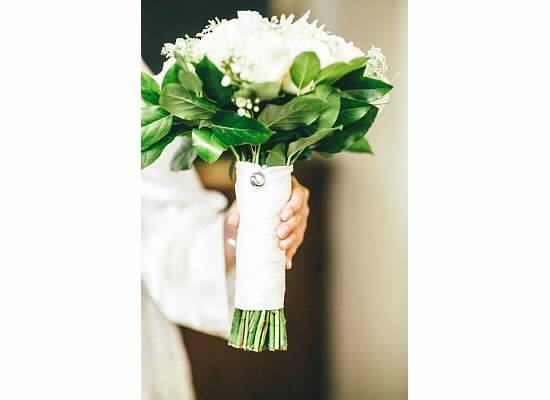 In addition to the bridal bouquet, you will need flowers for bridesmaids, boutonnieres for the groom, groomsmen, and fathers, and possibly flowers for the moms. Although my little bouquet was quickly abandoned, it did look pretty in our family photos. You may want arrangements for your chapel or church, and you should find out if your venue has its own florist, or if your vendor will also do those. Either way, be prepared when it’s decision time! As with all wedding vendors, be prepared to strike a balance between asserting yourself when it comes to your vision, and deferring to their expertise and being flexible. I found a great blog that gives you the Flowers 101 low-down. Just click on the link below, and start learning the language of flowers! 1. Getting ready together in our suites…pure fun. We had three suites for the bridesmaids (and a hairdresser), my two daughters (and a hairdresser) and me (yep, hairdresser too). Add a friend doing makeup for all and a light brunch spread that included plenty of mimosas, and you have one good time for the gals. 2. 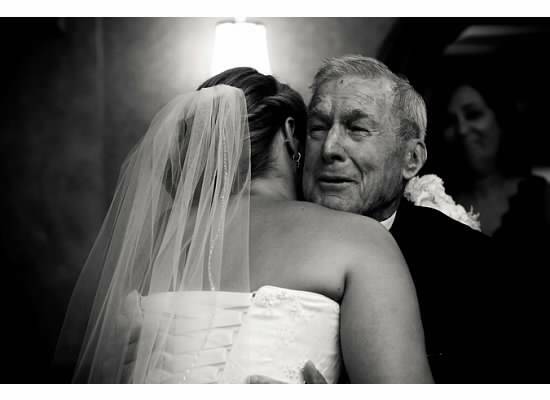 Seeing my father-in-law’s first look at my daughter as a bride; this might be my favorite photo of all. 3. Turning in my seat during strains of Pachelbel’s Canon to see my handsome husband and beautiful daughter framed in the chapel doorway. I remember my breath catching and my heartbeat in my throat. 4. Watching my daughter’s face as her younger sister delivered a perfect toast with the most amazing combination of humor and heart. When she rehearsed it for me, I was delighted; when she stood in front of 150 people and spoke, I was filled with love for both of them, and for my new son-in-law. 5. Finally relaxing with drinks at the after-party, dishing with my daughter’s friends, catching up with family, and watching my girls have the time of their lives. The regret? Just one, which I’ve mentioned in previous posts– I wish we had the photographer take posed photos with aunts, uncles and cousins. Table photos would’ve been great too. We deferred to his “expertise” and shouldn’t have. Happy Anniversary, Megan & Matt! Here’s to a lifetime of memories. The wedding rehearsal is more than just a reason to gather for another party. Done well, it can pave the way for a smooth wedding ceremony. If you skip it or race through it thinking the rehearsal dinner is the main event, you run the risk of a disorganized jumble that will stress you out and confuse the guests. 1. The bride and groom should talk through the ceremony from beginning to end WELL BEFORE the big day. There will likely be a few “drafts” of the plan, so be sure to discuss this often. Also, be sure to discuss this at length with whomever is performing your ceremony. Once the sequence of the ceremony is set (procession order, readings, music, vows), bring your families and bridal party into the discussion. 2. Make a list of any “props” you’ll need for the ceremony. Do you want flowers there? Will you use an aisle runner? Do you need candles for any part of your ceremony, or a glass to break? You may also want to give out programs and birdseed or bubbles for the guests. After you make of list of these items, decide who will be responsible for getting them there and packing them up afterward. 3. Plan to go through the ceremony at least once ON LOCATION. If you don’t have a wedding planner or celebrant available for the rehearsal, designate someone to be in charge of the run-through, using your pre-prepared schedule. 4. Understand that the procession includes the parents of the bride and groom. If the bride’s father is escorting her, who will seat Mom? How will you handle seating when parents are divorced and/or remarried? Troubleshoot potential “situations” ahead of time, and then rehearse it. 5. Will your groomsmen arrive early with the groom? If so, where will they go? What is their role? Typically, the best man hangs out with the groom behind the scenes, and the others show guests to their seats. 6. Are you planning a “first look” moment between bride and groom? I don’t really get this, but it’s become a popular photo op. To me, there’s nothing quite so special as seeing the look on a groom’s face when the bride comes down the aisle. Think about this though, and plan it out logistically. 7. Figure out where everyone in the bridal party will sit or stand, and will they sit or stand? 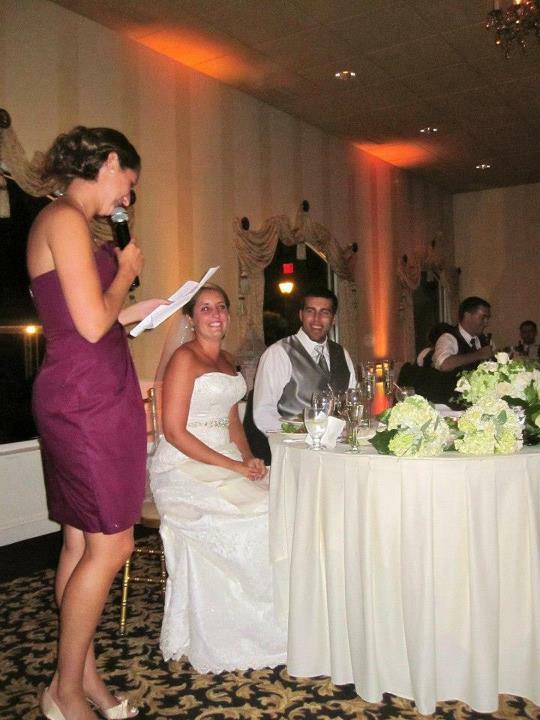 Will the bride and groom sit or stand? Where will family members be seated? Make sure the groomsmen are aware of their responsibilities when it comes to seating the guests. Traditionally, the bride’s immediate family sits on the left (facing the altar or officiant) and the groom’s immediate family sits on the right. If seats will be “saved,” decide ahead of time how that will work. 8. After going through each part of the ceremony at least twice, remember to rehearse the exit. Also plan out if and where the bride and groom will receive guests immediately following the ceremony. Decide too whether the bridal party and parents will be a part of this receiving line. 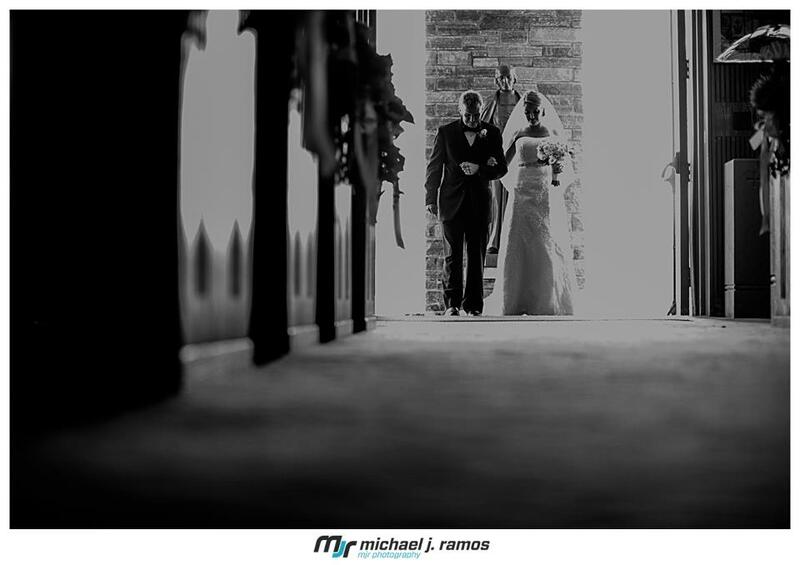 Guests like to have a quick moment with the bride and groom immediately following the ceremony. 9. Programs are a nice touch and easy to print up with today’s desktop technology. Your program might include the names of your entire bridal party (including parents), and those who contribute to the ceremony by doing readings, playing music or singing. A simple “order of the ceremony” may also be included (readings, vows, songs, etc.). 10. Finally, if you do have live music of any kind (pianist, vocalist or a quarter), request that they attend the rehearsal, even if they don’t play songs all the way through, they need to be aware of cues and special instructions. They may charge more for this, but it’s worth it. Remember, just like most things in life, practice makes perfect. Thanks to e-media– Facebook, pinterest, and an abundance of bridal blogs like this one– wedding planning has grown into one heck of an industry. Throw in reality TV and our celebrity-crazed culture, and weddings are entertainment as well. Last night I was reminded, rather poignantly, of the point of it all — marriage. The coming together of two people who have committed to lasting love as they begin to build a family of their own; whether that family is comprised of a man and a woman and five children, or a couple with an adopted dog, the point is that a family will be built. While on vacation with our own extended family, we sat together to watch a DVD from my husband’s parents’ 40th anniversary party, which was thrown by us nearly 30 years ago. My father-in-law, now 89 and grieving the recent loss of his wife, was transported back to a time when everyone he loved was gathered in one place to celebrate their union. Like a wedding, this party was planned– from invitations to music, food and cake, no detail was overlooked. Yet as we watched the party 30 years later, our focus was only on the people; the happy expressions of family and friends as they danced, laughed, hugged, and partied long into the night. None of us could remember if the frosting was fondant or butter cream, what was served for dinner, or where we got our outfits. 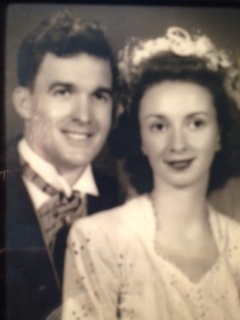 My husband’s parents had an enduring marriage, and it lasted until one of them passed away. Sure it was mostly happy, but there was no shortage of challenges. Like any marriage. There are five children, who at various times on the path to adulthood hit a few roadblocks. There are now spouses for four of those children, and seven grandkids as well. Soon, there will be great-grandchildren, but I’m not sure my father-in-law will be here to meet them. I have a feeling he is longing for those in the video who have already gone. This is marriage. Long after the gifts have tarnished and faded from everyday and sometimes rough use, the marriage will hopefully endure and a family will grow and thrive. The wedding is simply a celebration. Remember, weddings are about your guests too! Credit to my daughter on this topic– she spent much of her engagement thinking about ways to make the wedding a most excellent experience for her wedding party and invited guests. In a recent post at Wedding Party, blogger Stephanie Herbst notes that about 69 million Americans will be attending more than one wedding this summer. “While your guests will obviously be thrilled to see you get hitched,” Herbst writes, “they’re also putting in a lot of time and money to celebrate with you.” She has great suggestions for thoughtful touches that your guests will most certainly appreciate. 1. Make welcome bags for out-of-towners. We had lots of fun doing this. 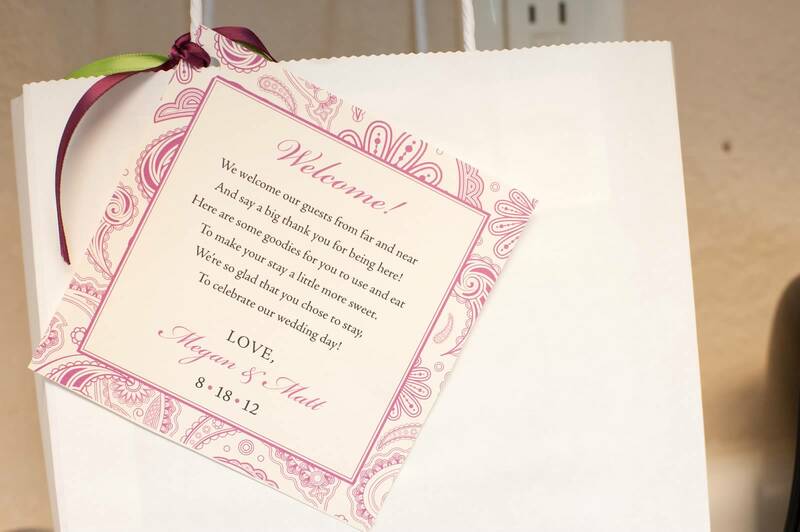 Include a note that thanks your guests for being a part of your big day. The contents can be very simple. Ideas include: A bottle of water, pack of gum, granola or chocolate bars, a map of the area, and a list of cab companies (if they prefer not to drive). 2. Give thoughtful consideration to seating arrangements. Place people thoughtfully to ensure they have a good time! Do you have a bunch of friends who love to dance? Place them near the dance floor. A quiet friend who will be attending alone? Put her at your friendliest friends’ table. And make a real effort to avoid a “dumping ground” table (they will know!). 3. Acknowledge your bridal party every chance you get. My daughter had little gifts for them at every occasion throughout the year, letting them know how much she appreciated their being in her wedding. 4. Give your guests a safe ride home. We wrestled with this “obligation,” but decided to take care of our guests with transportation between the hotel and reception venue. Once the rides are taken care of, a nice party becomes a GREAT party! Remember, these are your family, neighbors and best friends– make sure they know you’re thinking of them too! Summer is Wedding Season! Are you up on your wedding ettiquette? I’m a huge fan of the HuffPost Weddings blog, and I loved Diane Gottsman’s recent post on wedding etiquette. Two of her points resonated with me: One, if your child’s name(s) is not included on the envelope, it was not an oversight; and two, don’t call the bride or her family to ask for an exception. Do reply promptly to a wedding invitation. Get up, look at the calendar, and if you’re free and want to attend, drop that response card in the mail right away. DON’T procrastinate, and don’t wait to see if something better comes along for that weekend. The bride and her family are anxiously awaiting responses so they can either begin activating the “B list,” or start thinking about seating arrangements. If the bride or her mom is contacting you AFTER the response deadline, you have really messed up! DON’T call the bride or groom and ask for a “plus one” if this was not clearly indicated on your invitation (it would say Ms. Julie Smith and Guest). Weddings cost a lot of money, and whomever is hosting is doing plenty of numbers-crunching and hard decision-making. Don’t make it harder on them than it already is! DO plan to send a gift if you have been invited to a wedding, even if you don’t go. It can certainly be smaller or of lesser value, but if the couple thought enough of you to include you at their wedding, it is appropriate for you to acknowledge their marriage with a gift. And for all you brides-to-be out there, here are a few for you! DON’T take it personally when friends decline. Sometimes money is an issue, especially for young people who often must prioritize among several weddings in a year. DO consider the expense of being involved in a year’s worth of wedding festivities, and DON’T expect your friends to attend everything. Because my daughter had a big engagement party and a bachelorette weekend, we decided to let them off the hook for the bridal shower. We limited those invitations to bridal party, relatives and friends of the family.